Once upon a time in India, there lived three friends – Sattva, Rajas and Tamas. They were very close to each other, but very different in nature. Tamas was the laziest of the three. He would keep lying around all day, dull and lethargic, and not do any work. But he was very active in eating – he would gorge on all sorts of junk food and meat. Rajas, on the contrary, was the fidgety kind. He would always be restless with countless thoughts on his mind and numerous tasks at hand to be done. In food, he was extremely fond of hot and spicy preparations, and sweets made with excess sugar. The wisest among them was Sattva. He was extremely careful of his eating habits and would eat only as much as was needed by his body at a time. Freshly-cooked green vegetables and grains, fruits and juices comprised his primary diet. As such, he remained healthy, light and energetic throughout the day (unlike his dear friend Tamas), and also displayed clear and logical thinking. Which of the three personalities do you like and who would you like to be? The kind and amount of food you eat has a large influence on your mind, your personality, and even your meditation. Have you ever had one of those days when you sit to meditate but you either feel sleepy or are bombarded by nothing less than two zillion thoughts? And you find yourself wondering what did I do? Maybe not always, but quite often what you eat could be one of the reasons why you find it difficult to meditate. And all of us want a deeper meditation, isn’t it? So choose your food wisely and clear the way for a blissful meditation experience. 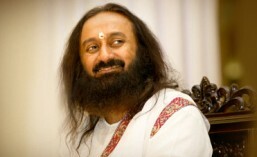 Grace Of Guruji on Google+! Click Here to add to your circle!